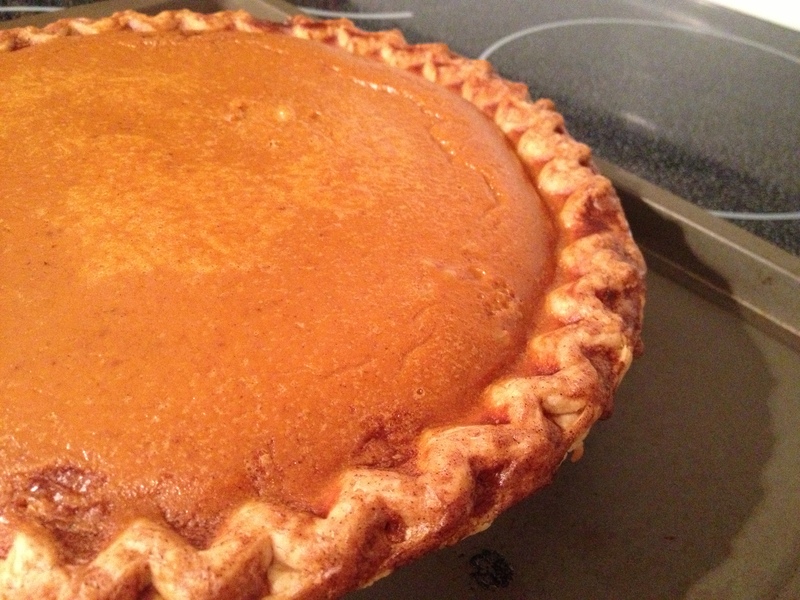 Now that it’s November, the countdown to Thanksgiving has begun and it’s time to perfect those holiday dishes. 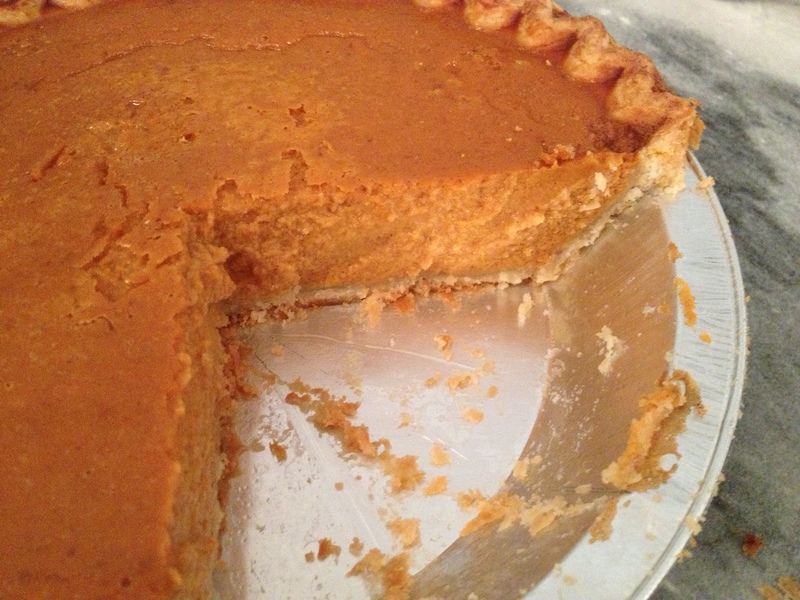 Pumpkin pie is a staple in any Thanksgiving spread but, to be honest, it has got to be my least favorite Thanksgiving tradition. However, I had never attempted to make the much-beloved dessert myself and, well, I relish a challenge and a novel recipe so I thought I’d give it a shot. 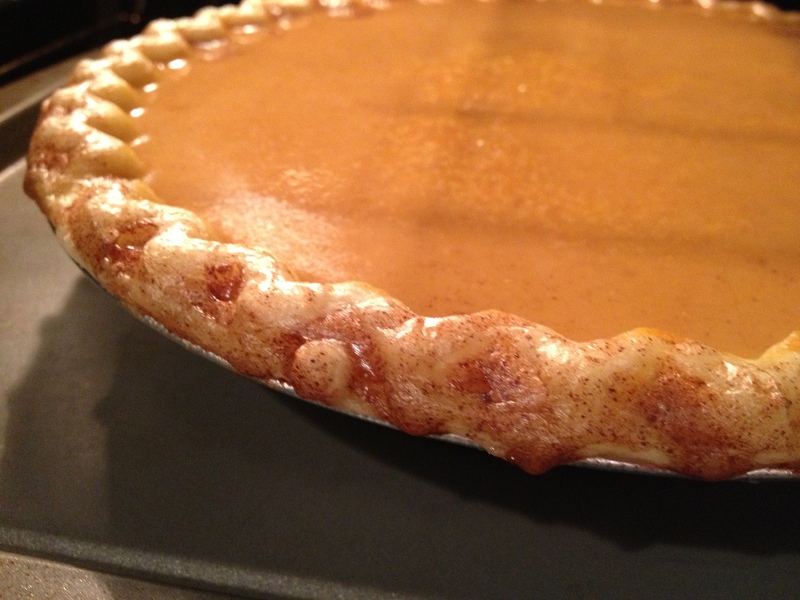 If I do say so myself, the recipe below may have transformed me into a pie lover, at least of the pumpkin varietal. 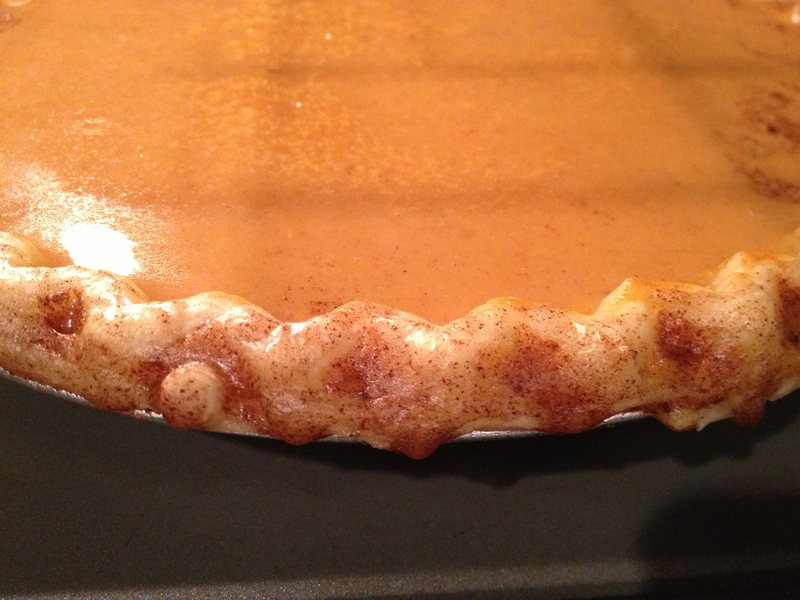 As with every recipe at Life With a Little Spice, this pie boasts plenty of zip from nutmeg, ginger, clove, and cinnamon, which are whisked into submission with brown sugar and, of course, pumpkin. 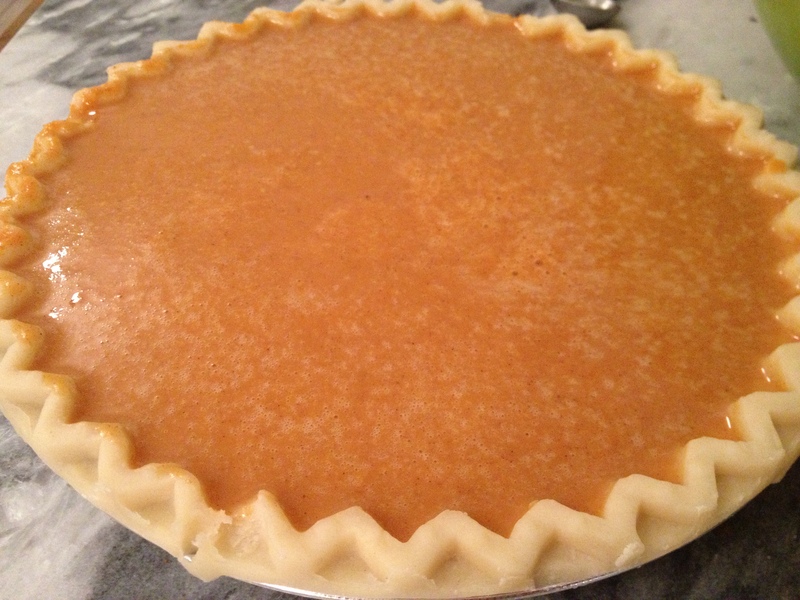 I cheated and used a frozen Marie Calendar’s pie crust, but spiced it up by brushing the top of the crust with a mixture of melted butter, cinnamon, and sugar. 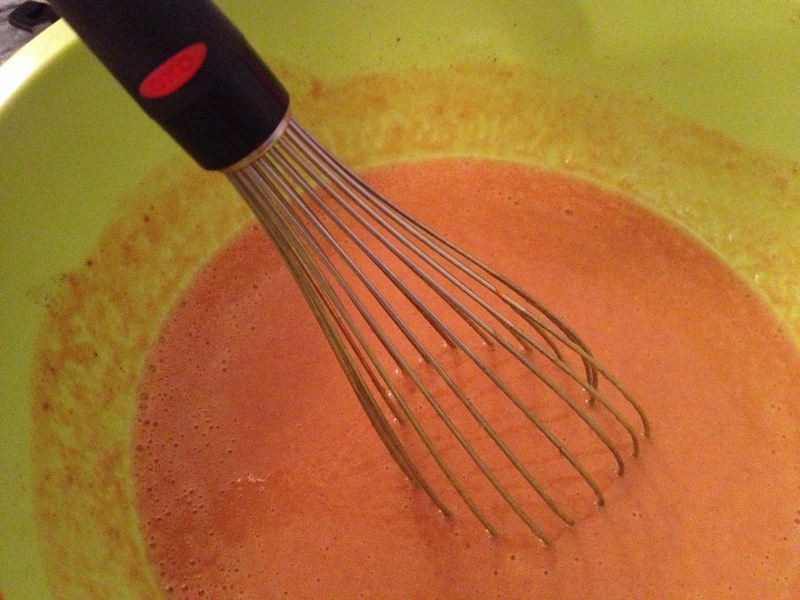 Serve warm with whipped cream scented with almond extract (or amaretto if you have it on hand). 1. Move oven rack to lowest position. Preheat oven to 425°F. 2. 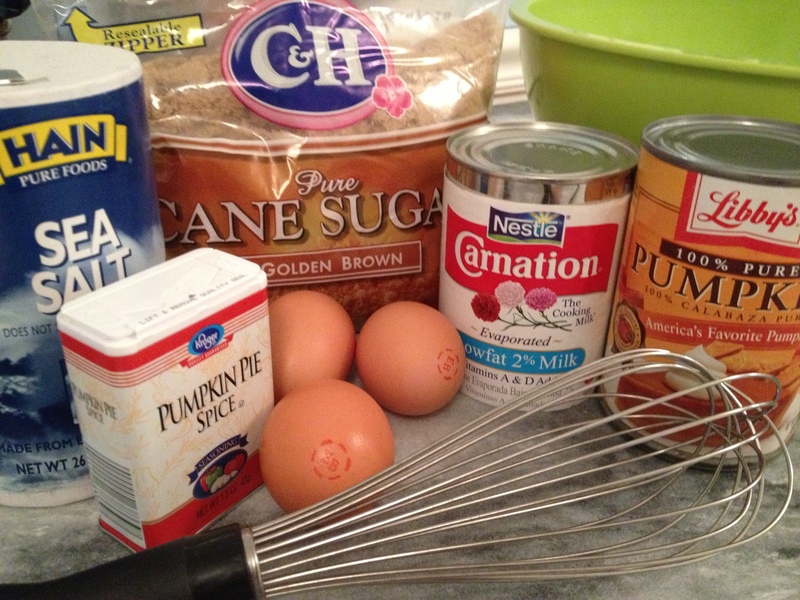 In a large bowl, combine brown sugar, pumpkin pie spice, salt, cinnamon, evaporated milk, egg, and egg whites, stirring with a whisk. 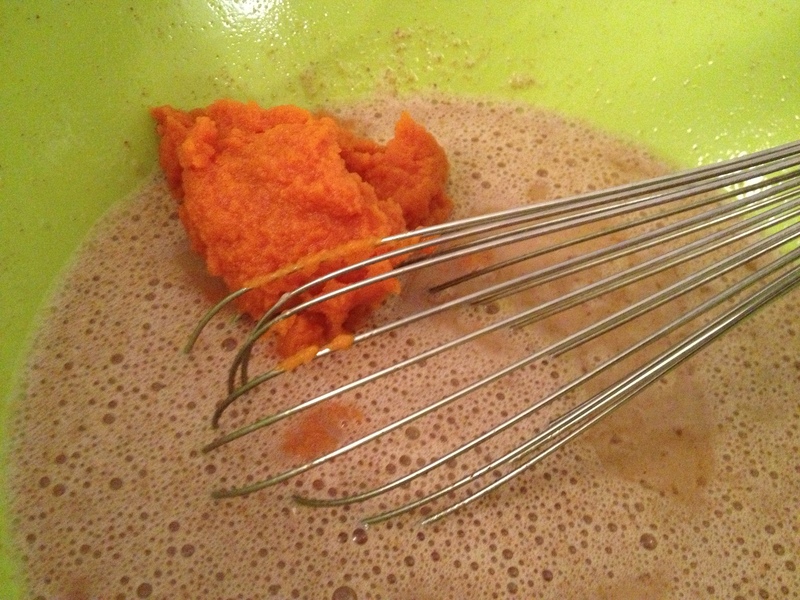 Slowly stir in pumpkin, and whisk until smooth. 3. 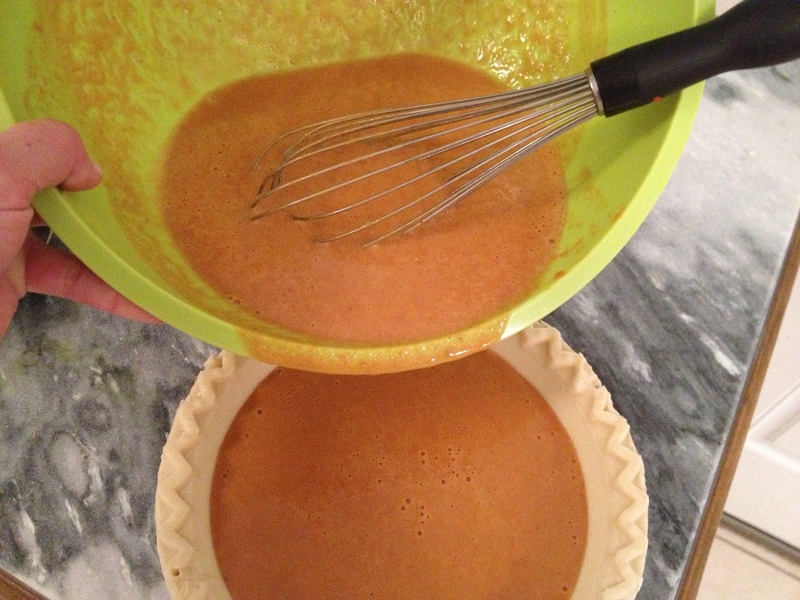 Keep pie crust in the tin dish, and pour pumpkin mixture into the crust. 4. 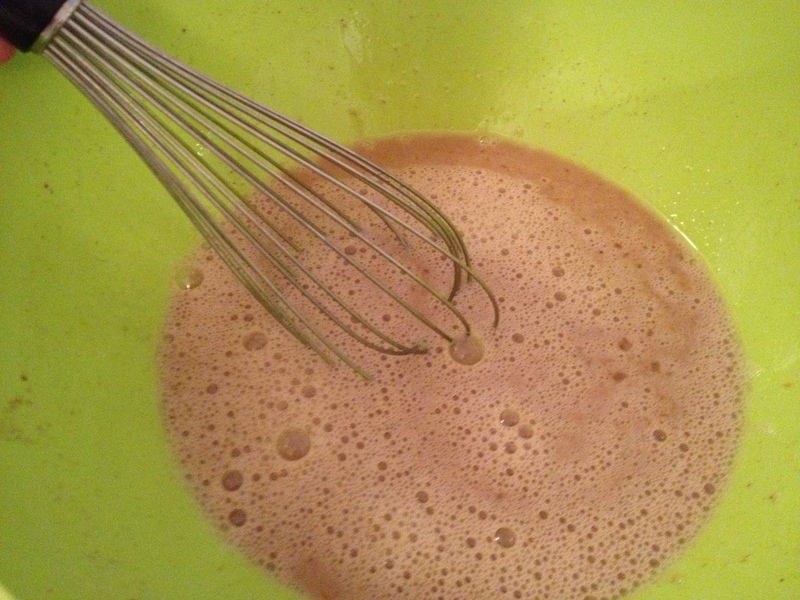 In a small bowl, whisk butter, cinnamon, and sugar, until well-combined. 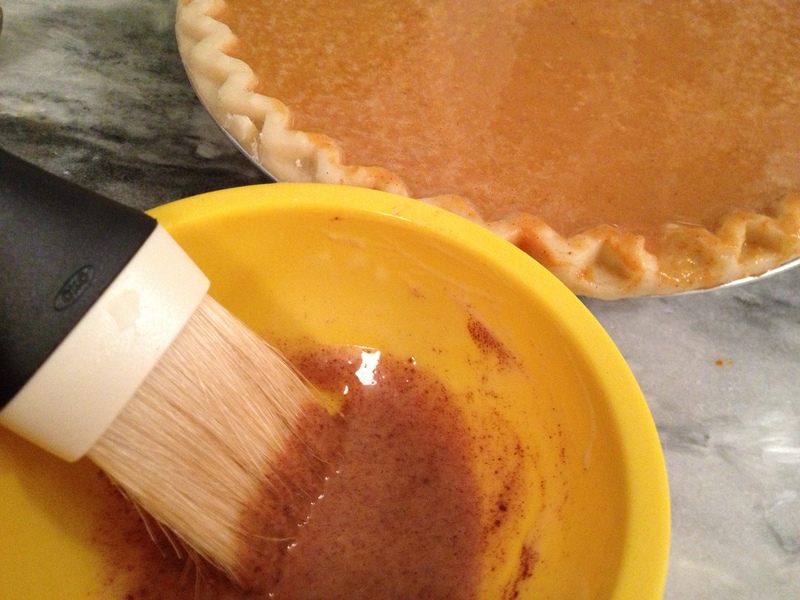 Evenly brush mixture on edge of crust. 5. Place in oven and cook for 10 minutes. 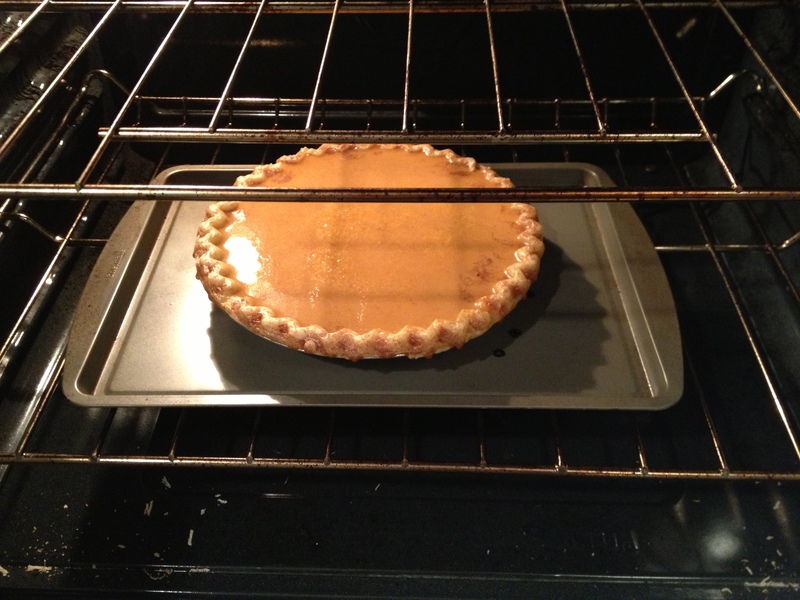 Keep pie in oven, and reduce oven temperature to 350°F. 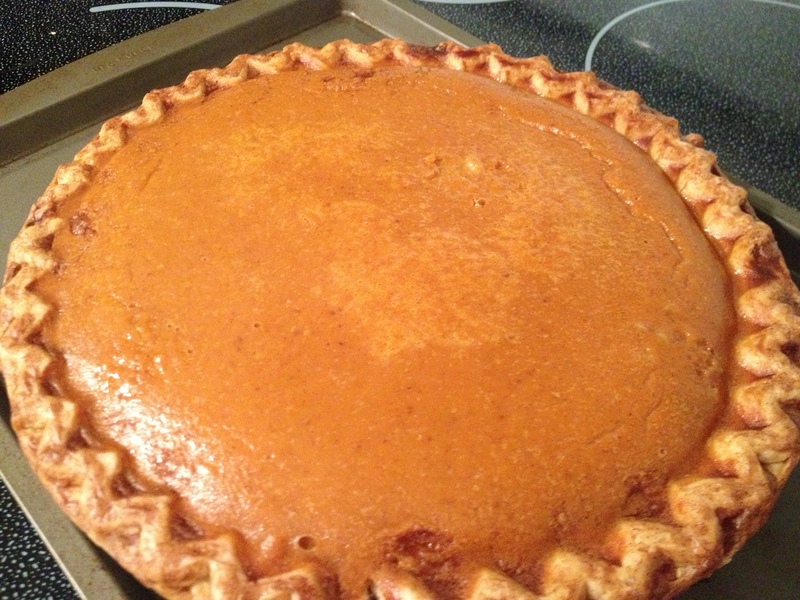 Cook pie for another 50 minutes, or until almost set. 6. 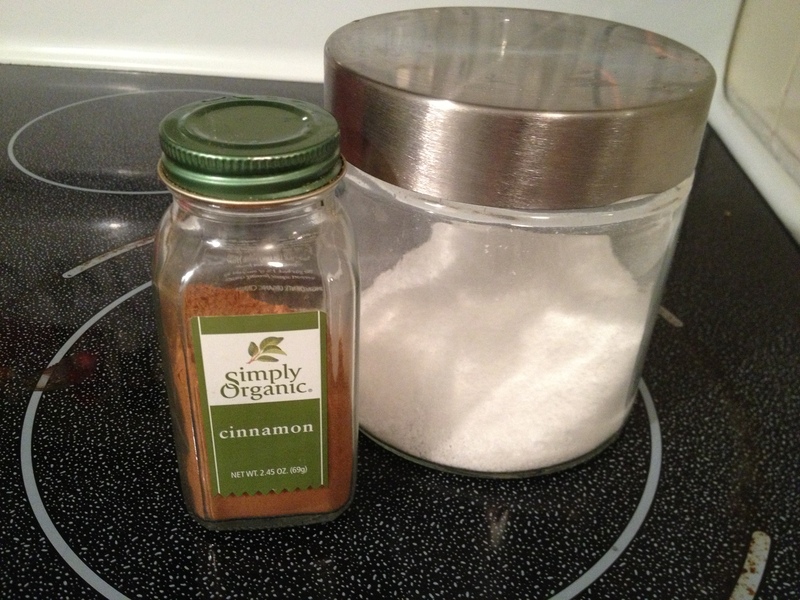 Remove from cookie sheet and cool completely. Slice and serve slightly warm.